Join us as we welcome visiting poet Claudia Keelan, with special guest Chris Santiago! ALSO join us for a pre-reading reception celebrating the release of our Spring 2019 Print Issue — you’ll be the first to get a copy, AND we’re giving away a $30 gift card to Common Good Books to one lucky attendee, it could be you! The opening festivities start at 6:30, and the reading starts at 7 — we hope to see you there! Keelan will read from her new book We Step into the Sea: New and Selected Poems (Barrow Street, 2018). 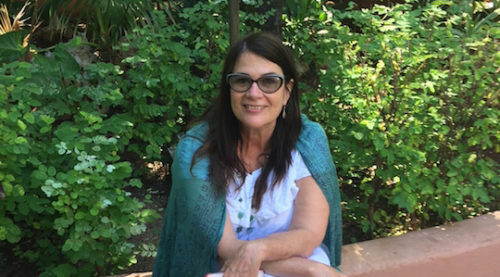 A literary scholar and translator as well, Keelan’s other recent work includes Ecstatic Émigré, a book of essays in the Poets on Poetry Series from University of Michigan Press (2018), and Truth of My Songs: Poems of the Trobairitz (Omnidawn, 2015), which collects her translations of works by women troubadours. Appearing with Keelan will be Minnesota poet Chris Santiago, the author of Tula, which was selected by A. Van Jordan as the winner of the 2016 Lindquist & Vennum Prize for Poetry, and was a finalist for the 2017 Minnesota Book Award. 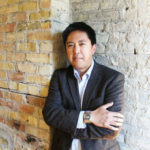 A 2018 McKnight Writing Fellow, his poems, fiction, and criticism have appeared in FIELD, Copper Nickel, Pleiades, and the Asian American Literary Review. 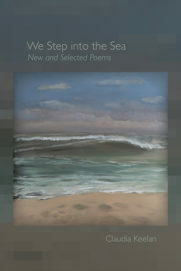 "We Step into the Sea collects over three decades of work by one of the most singular voices in contemporary American poetry. It tells the story of a lyric poet who both probes and sheds the self in search of a "we," not to belong to, but rather, to care for, to serve: "I will hold us safely together, / we will consider the falling whole." 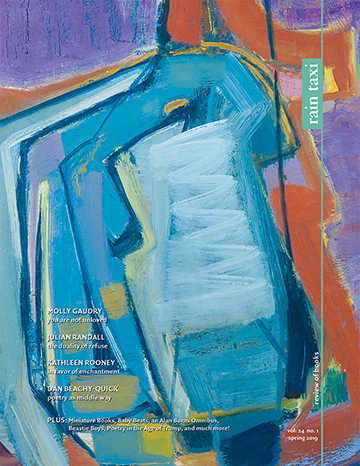 In these poems of passive resistance and active celebration, we are given a panoramic view of a poet who insists that experimentation is an ethical imperative, one that will help us forge a kingdom of compassion that runs counter to empire." This entry was posted in Uncategorized on February 4, 2019 by Kelly.